Having a Fall wedding? 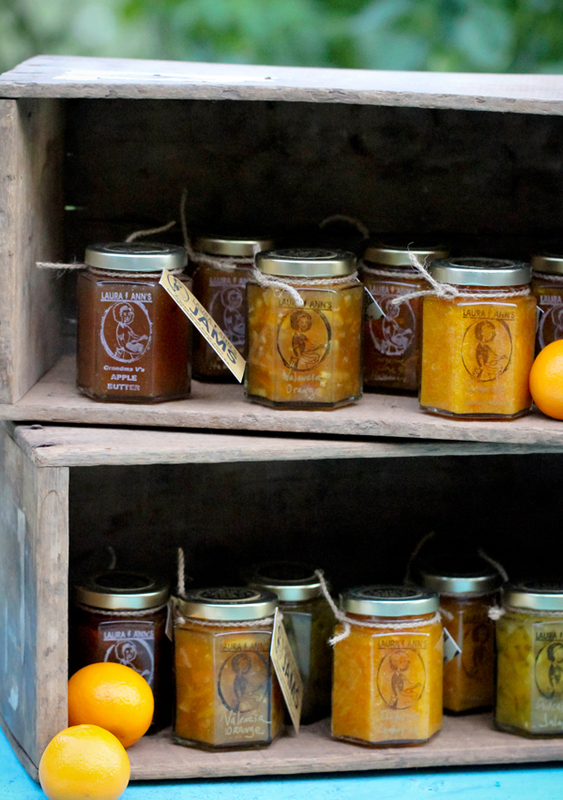 Jams are the perfect way to share your special day with your guests. Laura Ann's Jams are making their way onto the wedding party scene and yours could be next! Citrus Wedding? I've got you covered. Just check out my jams on Wedding Chicks for your very own inspiration. Take note if you are a future bride or groom, Laura Ann's Jams makes a tasty and custom wedding favor. Contact me directly to discuss prices & flavors at LA@LauraAnnsJams.com and call Ms Randi for some pretty darn amazing photographs (Randi Marie Photography).